Dehydration and rehydration are important factors to maintain both health and performance. People choose to hydrate in a number of different ways after exercise – whether it be water, a sports drink, Oral Rehydration Solution (ORS) or milk. This study carried out by Runners World looked at which of these drinks stays in the body the longest and therefore hydrates you more effectively. The results? Oral Rehydration Solution is the most hydrating drink due to the sodium and glucose content. 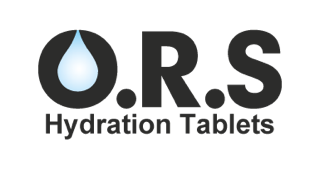 Clinova’s O.R.S® hydration tablets contain a combination of glucose, salts and electrolyte’s and help replenish the body of water and salts that have been lost through sweat. A new “hydration index” tests how fast water, juice, beer, milk, coffee and other drinks pass through your system. Sounds a lot like a long run, doesn’t it? As it turns out, there are a lot of factors that affect how quickly you pee out a given drink. For example, drinks with lots of calories or electrolytes tend to be retained in the body for longer, while diuretics like caffeine and alcohol speed things along. How much you drink at a time also has an influence. And despite all the folk-wisdom out there, there’s very little actual data comparing different drinks. To address this gap, researchers led by the University of Loughborough’s Ron Maughan, along with colleagues from Bangor University and the University of Stirling, recruited 72 subjects to test 13 different drinks (each subject tested water plus three other drinks). At each testing session, the subjects drank a liter of the chosen beverage, then collected all their urine for the next four hours. A higher bar indicates more fluid retained. The dashed line represents twice the coefficient of variation away from water, meaning you can be relatively confident it’s a real effect above that line. So milk stays in the body, presumably because of its calorie or potassium content. The same is true (barely) for orange juice. Oral rehydration solution stays in, thanks to its calories and sodium. The biggest surprise? Neither beer nor coffee nor tea seem to produce significantly more urine, though coffee is marginally the lowest value on the index. One possibility is that the diuretic effects of alcohol in beer are counterbalanced by its retention-promoting calories. That’s supported by a previous study that compared regular and alcohol-free beer and found that regular beer triggered 12 percent more urine. Larger doses of caffeine or alcohol might get things flowing more noticeably, the researchers point out.